Each year at Homecoming, the Trevecca Alumni Association honors graduates and others whose careers and lives exemplify the values of the University. Read on to get to know this year’s recipients. The T-Award recognizes Trevecca alumni who have devoted their lives to serving and ministering to others. The honor is presented each year to one minister and one layperson. 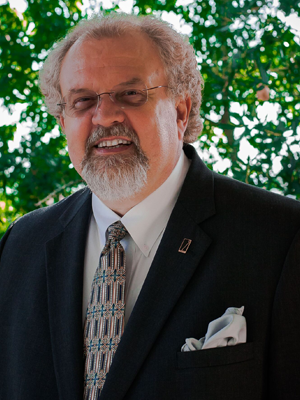 Michael Boyd Blankenship currently serves as the senior pastor of Summerville Church of the Nazarene in Summerville, S.C. His duties include preaching and teaching, but he considers leadership development and vision casting to be crucial components of his work. How did your Trevecca experience shape you? Many years ago the Trevecca community believed in me more than I believed in myself and it helped me to develop a skill set and sensitivity for ministry. The truth is that [all] of us are ministers. I hope I can pass on that kind of desire to help bring out the best in others as this community did for me. What are some highlights of your life so far? My relationship with Jesus. My relationships with all of my family. It’s neat to be a husband, dad and now granddad to five wonderful kids. I am overwhelmed to think that God called me to be a pastor/minister. [It is]amazing and humbling. God has given me a chance to preach and live out the gospel. I love to see God do miracles in a life, a family, a church, a school … I am blessed beyond measure. 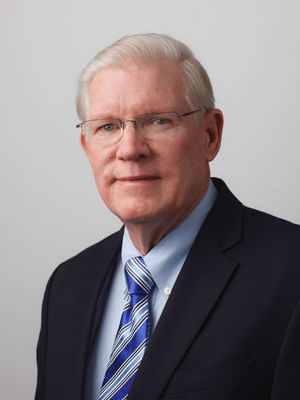 For more than 30 years, Dennis Moore served as the Southern Florida District Missions (NMI) president, in addition to his nearly four decade career in the Palm Beach County government, where he served stints as the director of both the consumer affairs division and the county animal shelter. He currently serves as the president of Lake Worth Towers, Inc., which provides senior adult housing. 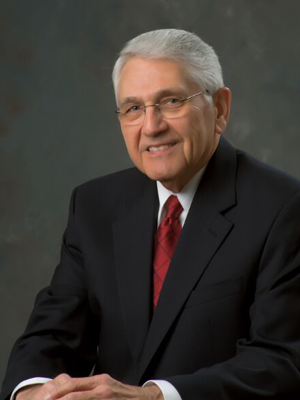 He has served on the Lake Worth Towers, Inc., board since 1978 and is currently a member of Trevecca’s Board of Trustees. Did anyone at Trevecca have a positive influence on your life? In terms of Trevecca staff or professors, it would be both Drs. Paul and Beverly Cleckner. Both of these professors had a profound impact on the direction of my life professionally and personally. Paul introduced me to interpersonal communications, which tremendously impacted my life in all contact and interactions with individuals and groups at work, church and community. He encouraged me to pursue an advanced degree. Beverly was an educator’s educator who literally oozed creativity, always demonstrating how it can have a huge influence on people. Tell us about your Trevecca experience. The impact that my four years at Trevecca had on my life is incalculable! It is amazing how much growing up can be done in four years. Many ways that I have handled life and its challenges can be traced back to the people and friends that I met and interacted with at Trevecca. I am thankful for the strong spiritual element of Trevecca. May it always be that way! I am thankful for the on-campus four-year experience. Frankly, I learned about as much outside the classroom as I did while attending all my courses. The Mackey Leadership Award is presented to Trevecca alumni who have excelled in leadership. 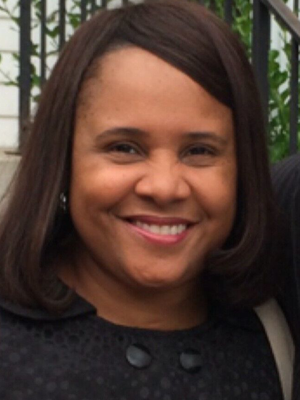 Yolanda Taylor-Statom currently serves as the assistant principal at Ruby Major Elementary School in the Metro Nashville Public School system. She began her education career as a classroom teacher, then, after earning her master’s degree in library science at Trevecca, became a reading specialist. She also earned a Doctorate of Education (Ed.D.) from the University in 2012, the same year the Greater Nashville Alliance of Black School Educators named her Teacher of the Year. Statom currently serves as the research chair for Trevecca’s online specialist in education program. Think about the highlights of your life. Who has had an impact on you? I would not be where I am today were it not for my family. At an early age, my parents (Johnnie and JoAnn Taylor) instilled in me the importance of education. They sacrificed for me to attend college at the University of Tennessee and always encouraged me to further my education. At the University of Tennessee, I met my husband, Lelan Statom. He is a constant source of inspiration to me and has always been my anchor and cheerleader. Our wonderful children, Kayela and Taylor, have served as a constant source of strength and support. I am a first generation college student and the first in my family to obtain a doctoral degree. I come from a family of hard workers who always believed that aside from faith in God, education was the key to success. Although my parents did not have the many opportunities afforded me, they always pushed me beyond what I thought I could do. My family shares in this accomplishment alongside me. 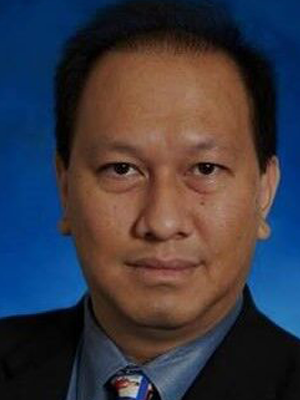 Ronald Da Vera Barredo has served as the chair and a professor in the Department of Physical Therapy at Tennessee State University. 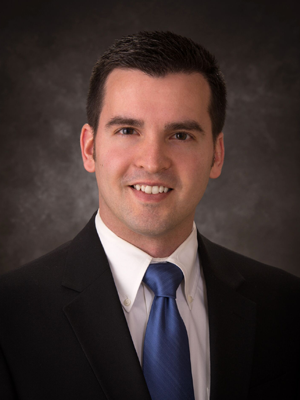 He currently serves on the boards of several professional organizations, including the Foreign Credentialing Commission in Physical Therapy, the Tennessee Board of Physical Therapy and the American Board of Physical Therapy Specialties. What are some highlights from your life so far? Born in the Philippines, I grew up with parents who taught me to value education and love learning. … My decision to leave the Philippines and move to the United States in 1991 provided me greater professional opportunities in my practice as a physical therapist including, but not limited to: earning my specialist certification in geriatric physical therapy, earning my doctoral degree in physical therapy, and heading the physical therapy department at Tennessee State University. Jeanne Thrasher Sugg spent 20 years as a state librarian and archivist with the Tennessee State Library and Archives, including five as the director. 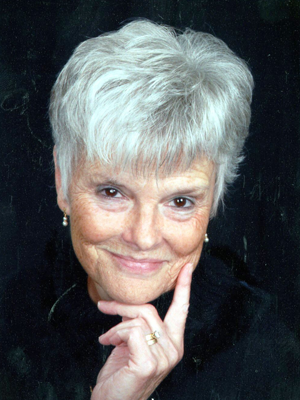 Before launching her career, Sugg spent nearly a decade serving as a library coordinator for the Arabian American Oil Company in Dhahran, Saudi Arabia. She previously served at public, school and college libraries in Tennessee, Florida and Puerto Rico. Think about your Trevecca experience. What faculty or staff members had an impact on your life? Definitely my aunt and uncle, Dr. and Mrs. Mackey. But didn’t all of our professors show love (granted, some more than others), concern (and rightfully so) for our academic performance, our spiritual well-being, and our interaction among our peers? When you think about your career, what stands out to you? God’s hand has been in every move our family has made—about 10 if I count correctly. There has always been a library position that has caused me to stretch my boundaries, both professionally and personally. I am overwhelmed with the opportunity to be honored with the Mackey Leadership Award. It is personal, poignant and very humbling. The McClurkan Award is presented to those whose lives and service reflect Trevecca’s values but who did not graduate from the University. William Finley Knowles Sr. has served as the Hamilton County, Tenn., clerk for 44 years. Prior to that, Knowles served as deputy City Court clerk and is a past chairman of the Hamilton County Juvenile Court Commission. In 2006, the County Officials Association of Tennessee (COAT) elected him as the Outstanding Official of the Year. While in office, Knowles’ initatives, such as renewing vehicle registrations through the mail and online, led to advancements across the state. Thinking about your career, what would be some highlights or moments you are proud of? Having received the votes of Hamilton County citizens to serve in public office. I completed 44 years last August and was re-elected in 2018 to another four-year term. It’s the longest tenure of an elected official in the history of Hamilton County. To God be the glory! Who from Trevecca has had an impact on your life? Rev. W.M. Tidwell, one of Trevecca’s first graduates and pastor of Chattanooga First Nazarene for 42 years, had a big impact on my life. The First Chapter Award is presented to a young alumnus who has distinguished him- or herself in a chosen career. Stephen Bearden currently serves as the associate chief financial officer of TriStar Centennial Medical Center in Nashville, Tenn., a position he has held for two years. Prior to that, Bearden spent nearly a decade in various roles at Healthcare Corporation of America (HCA), including internal audit director. What are some of your favorite memories at Trevecca? I always enjoyed the close relationships with the professors. It was very cool to have small classes where the professors know all the students. I had a few professors who invested significant time outside of class mentoring me. Secondly, I loved all the music going on at Trevecca. Whether it was Covenant Choir trips, Choral Union, school plays or simply an impromptu worship time in the residence halls, I enjoyed being surrounded by the musical life at Trevecca.